^^^ good luck with water getting into them. just about every set I've ever seen leaks. A buddy of mine has been using them for over a year and it still looks brand new. No water leakage. Maybe they fixed it. You could always reseal them yourself. I'd be curious to see what these look like installed. Haven't had any problems with water getting in these. 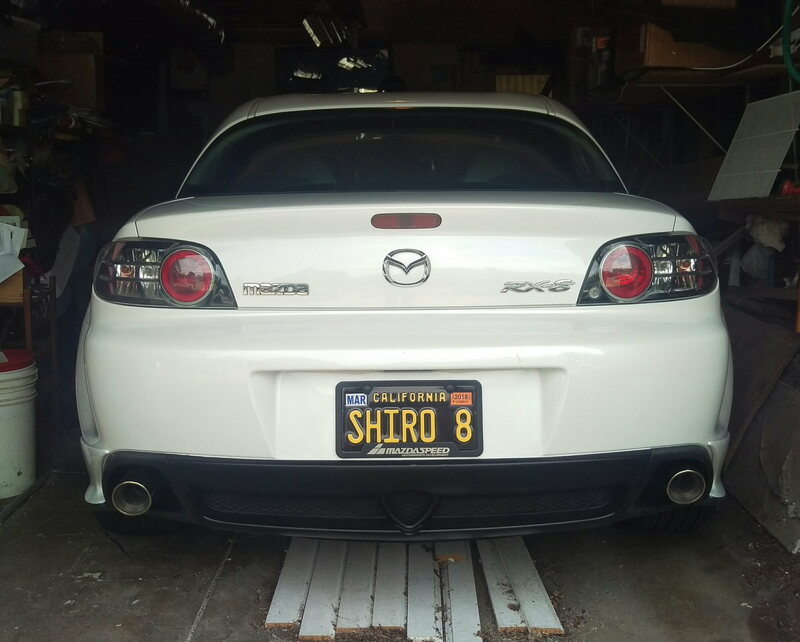 in your opinion, how do they really look compared to the oem? does it look like a noticeably cheaper knock-off? really hesitant to buy a set, but I like the look. I decided to pull the trigger anyways, installed them the other week and think they look great, no regrets. Can't report back about any leaks yet as my car is waiting for her new engine and I haven't driven her. 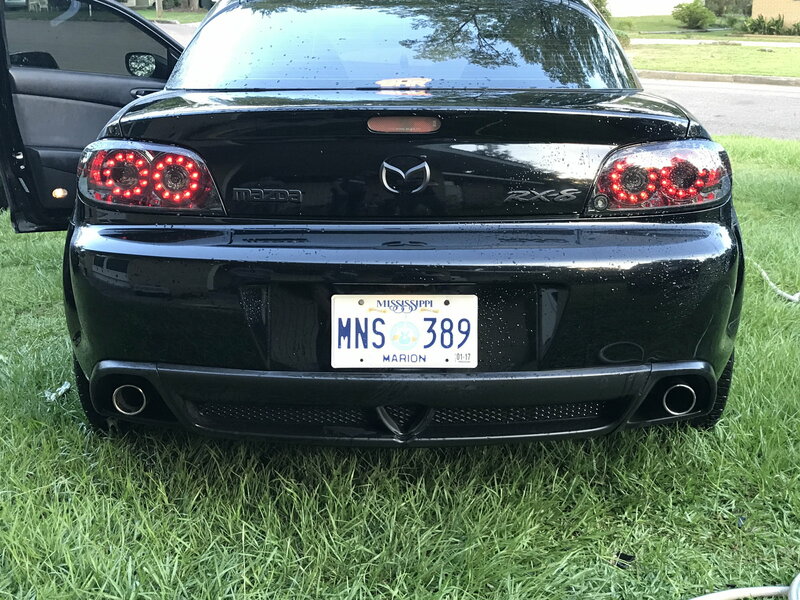 I purchased the Spyder Led Tailights for my 05 rx8 and the connectors for the lights did not match the oem connecters. I have looked everywhere for a kit but cant find one help please! 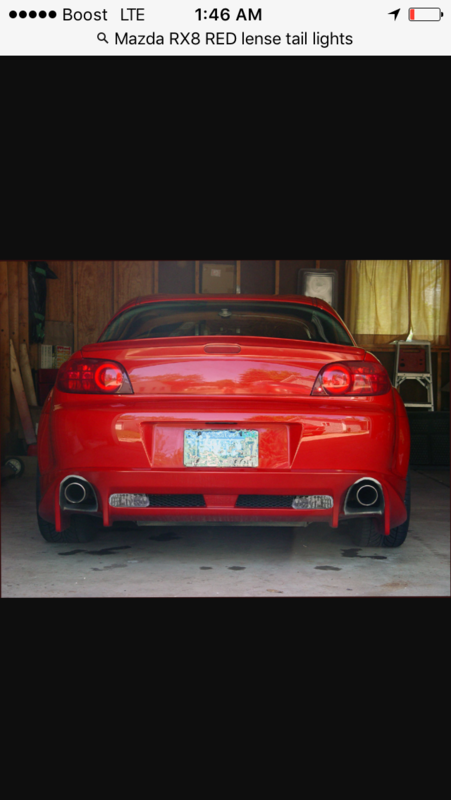 I just got these tail lights. Couple of things to note. 1. 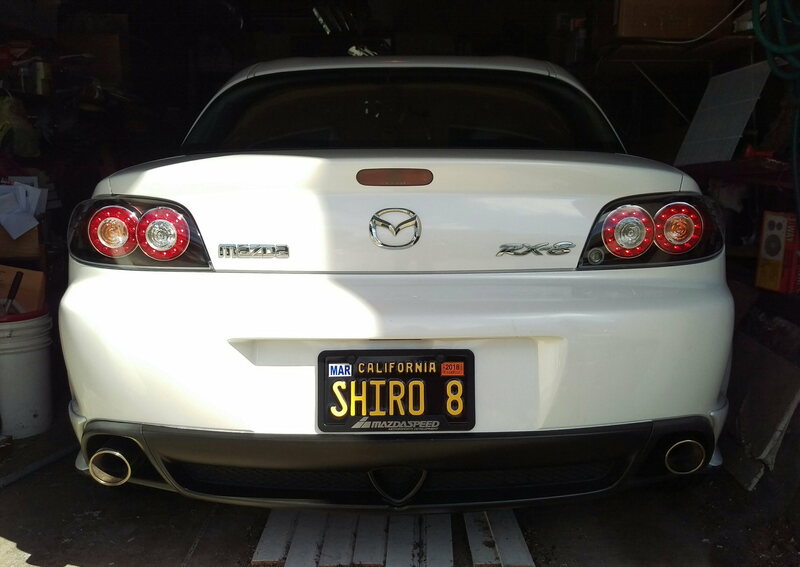 These lights will fit rx8 without any mods (at least on my 2004). 2. The flat connectors you see fits into tail light socket for stoplight instead of a bulb. 3. Turn signal bulb goes in the middle hole. 4. Two small two pin connectors on the taillight assembly connect to each other (male to female) and not to connector on car. 5. If you remove the gasket (carefully), you can see what socket goes with what connectors. I bought the Xtune tail lights; but the instructions were omitted, so I had to figure it out. It also looks like a resistor might have been omitted; because as soon as I took my foot off the brake after starting the engine after completing the installation, the ABS and traction control lights went on and stayed on. I didn't go anywhere near any of the calipers or ABS sensor wiring. Is it plausible that this could be due to an omitted resistor? If so, how can I best calculate the value of the needed resistor to address the issue? Yes, a resistor should help with this. It certainly helped me when I installed all LED bulbs years ago, and had the same problem. Hopefully someone else will chime in with the proper resistor data. Yep, on an S1, LED brake light bulbs can trigger ABS malfunction. Depending on how often you brake, a resistor could get hot. Think about how filament bulb works - they light up the filament by making it white hot. I recommend these as I used them before for my old Accord and they work pretty well. That VLEDS resistor is nice and one should be enough to avoid the problem. Thanks to both of you. I like that the VLR-6 has more surface area. I’ll be going with these. I have written to VLEDS to confirm my supposition that I will need two VLR-6’s per brake light to emulate the two filaments in the OEM bulb, and will go with their recommendation. I said one should be enough because I remember that when I had the same issue, just putting back the one filament bulb into the center brake light fixed the problem (for me). Then I added a single resistor behind the trunk lid liner before swapping to the LED bulb, and all is well. Last edited by Tamas; 10-23-2018 at 08:09 AM. See previous posts in this thread for answers. I bought two sets; but found the resistance too high, causing the brake lights to not engage at all. I recommend getting a generic heat sink, crazy glueing the resistors to the heat sink, and bolting the heat sink in the void cavity on the inside of the rear quarter panel. Can I convert normal lights to xenon lights?